I lie, and so do you. So do my writing students, the veterans I teach in a reintegration course at the University of Wisconsin-Stevens Point. In their essays for class they massage the truth about things they’ve done and things they haven’t. Sometimes intentionally, other times not. 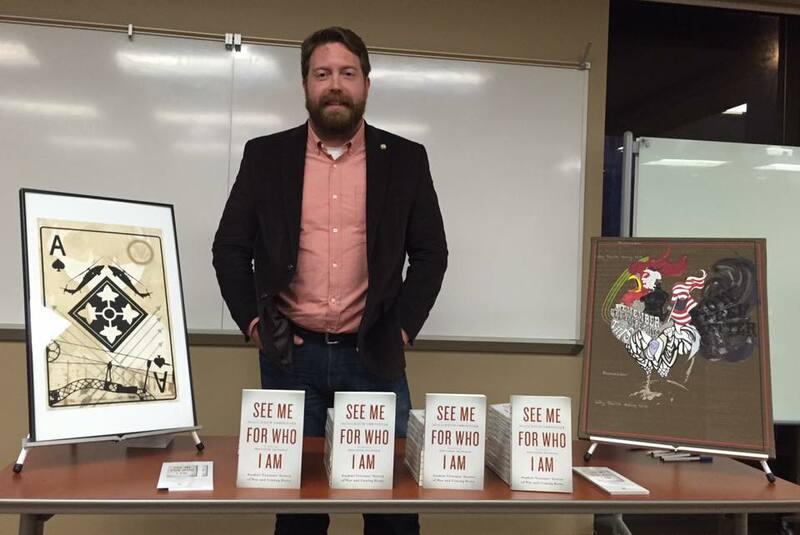 David edited a collection of essays, See Me for Who I Am , that brings together 20 young student veterans working to bridge the cultural gap that divides them from the American people they fought to protect. Photo courtesy of David Chrisingner. For the past six years, I’ve worked with hundreds of military veterans to help them tell their stories of war and coming home, and in that time I’ve heard lots of tall tales. Sometimes my students haven’t made sense of their lives at war and their memories from it, and massaging the truth, whether consciously or not, can be therapeutic. The style of personal essay I teach gives writers the chance to try out narratives, to see how they fit, and to see how others react to them. 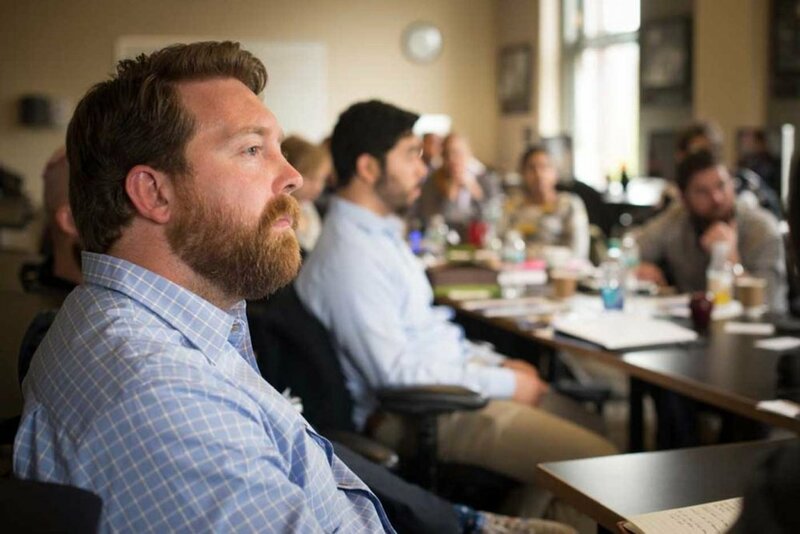 I’ve seen time and again that this process—of turning their lives and experiences into a coherent story—is hugely important to a veteran’s transition back into civilian life, especially if they’ve survived some form of trauma. Coming home in itself can be retraumatizing. Veterans tell their loved ones massaged truths about what they’ve been through and who they’ve become, as they struggle to find out themselves. One student told me he doesn’t like to talk about his time in Afghanistan because he doesn’t want his mother to look at him differently. For reasons like that I never ask my veterans to write about the bad stuff, the stories from war that people always seem to want to know, but never know how to ask about properly. I ask my students to share a story they want to tell, one that explores a quality or characteristic they either gained from being in the military or lost because of their service. Some students write about their newfound strength, both physical and mental. Others write about feeling disconnected from their friends and family because of the ways conflict changed them that neither they nor their families yet understand. 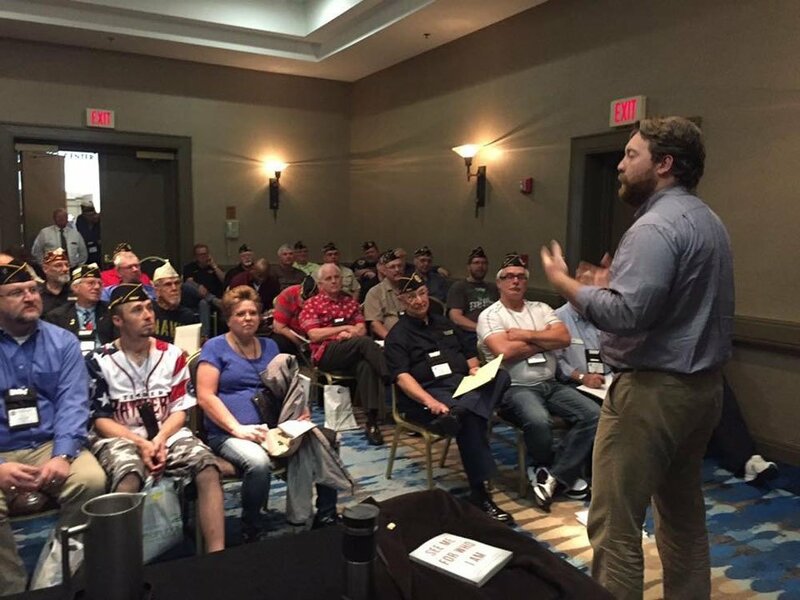 David taught “Back from the Front” at the University of Wisconsin-Stevens Point in December 2014. Photo courtesy of David Chrisinger. It doesn’t bother me that my students’ stories might not be completely true. The particulars of their memories aren’t always essential. What’s much more important for my students is to find a way to live with the story they tell themselves. Last year, a veteran with whom I’d been working asked me for help telling his story. On the first day we met he told me he suffered from post-traumatic stress and that leaving the military was particularly hard. His wife and kids, he told me, had learned very quickly not to mess with him in the morning. He choked out his wife once—unintentionally, he said—after she tried to shake him awake. He said he wanted help writing his story so that he could share it with his wife. He found it hard to explain his experiences, and he thought a written piece might help her understand what he’d been through. 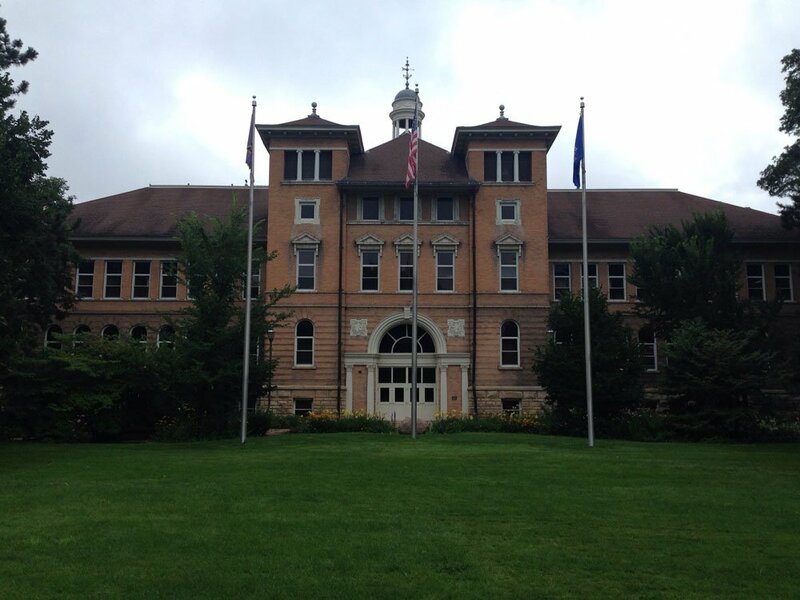 David and his students often walk past the Old Main Building on the campus of the University of Wisconsin at Stephens Point. Photo courtesy of David Chrisinger. He had tried to tell his story once before, he said, right after he had gotten out of the military. Back home for the first time in years, he met up with an old friend for a beer downtown. When he was drunk enough to feel comfortable talking, he told his friend the story of his involvement in Operation Odyssey Dawn, a 2011 operation in Libya to take out strategic air defenses of pro-Gaddafi forces near Benghazi. He told his friend about the tomahawk missiles his submarine had fired, and he talked about the damage those missiles had done. His friend didn’t react the way he was hoping. He got incredibly upset by what he had heard and urged my student to “get right with the lord” for what he had done. It had been a couple of years since that interaction, though I could see in his posture how much his story weighed on him. He had trouble looking me in the eye as we spoke, like a child confessing to a parent. I think he believed—or wanted to, anyway—that talking with me in the safety of a classroom would bring him some measure of relief. For most it does. Looking back on that day, however, I wonder if he wasn’t also looking for something else. Absolution? 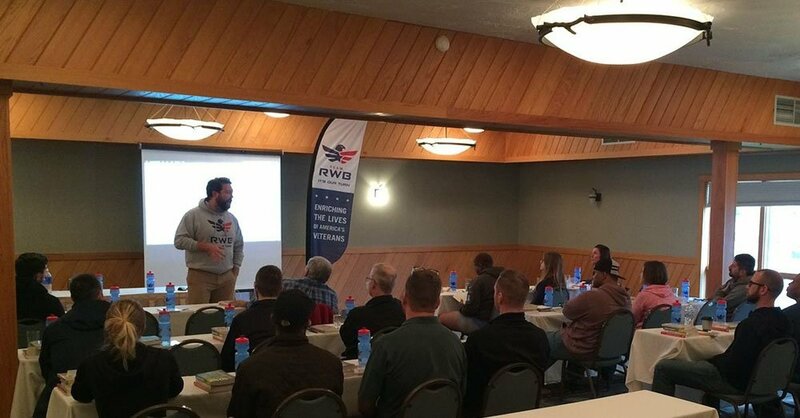 David discussed expressive writing with veterans at Team Red, White & Blue’s inaugural storytelling camp in Gaylord, Michigan, May 2016. Photo courtesy of David Chrisinger. As a reader and his teacher, I was excited to receive the first draft of his story. I wondered what could have been so bad. He talked about the Tomahawk strikes and how he had received the radio orders to fire, which he relayed to his commander. He talked about how the submarine was ordered to come to the surface along the Libyan coast so that they could assess the damage done by the missiles. It’s at this point that things get really interesting. While he and a small team of sailors were observing the coastline, a border patrol of pro-Gaddafi forces pulled up and began firing at them, he wrote. He was the only one who was armed, he had written, and he had rushed the other sailors to safety and then fired back at the patrol with an MK-43, a belt-fed machine gun with bipods at the end of the barrel. I couldn’t help but picture Rambo taking out an entire Vietcong base with one of those things. In only a few minutes he was able to take out a handful of the bad guys, he wrote. During the shootout, he was shot twice in the back and three times in the feet, he wrote. His body armor had stopped the two shots to his back from penetrating, but the injuries to his feet needed urgent medical attention. Surely he must have been awarded something for such bravery under fire, I thought. And his struggle since leaving the military began to make more sense. But something about his essay felt off. Why would a billion-dollar submarine be ordered to surface near the shore of a potentially hostile area? Why would they send a bunch of unarmed sailors to the deck of the submarine to check for damage along the coast? Don’t we have drones that can do that? And how did he get shot in the back if you have to be in the prone position to shoot a MK-43 accurately? 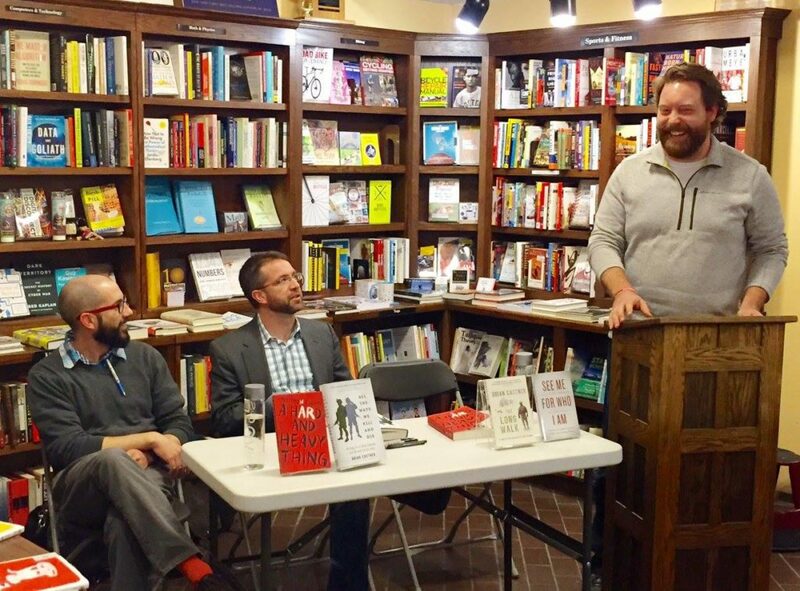 David introduces fellow writers and military veterans Brian Castner and Matthew Hefti during a book reading in Madison, Wisconsin during March 2016. Photo courtesy of David Chrisinger. I admit that I don’t know much about submarines or fully automatic weapons. That’s why I took the essay to a friend of mine. He served in the Marine Corps and deployed once to Iraq. He fought at the First Battle of Fallujah. “Once was enough,” he jokes now. After he got out of the service, he went to school to become a counselor. Now he works exclusively with combat veterans, helping them make sense of their traumatic experiences. “There’s no way this happened,” he told me after reading the essay. We sat down together, and he walked me through the story, explaining all the places where my student had likely falsified his account. And they were myriad. Was any part of the story true, I wondered? Why did he feel the need to falsify his account? Couldn’t his service be enough? I asked my friend for some insight, and whether I should worry about my student. 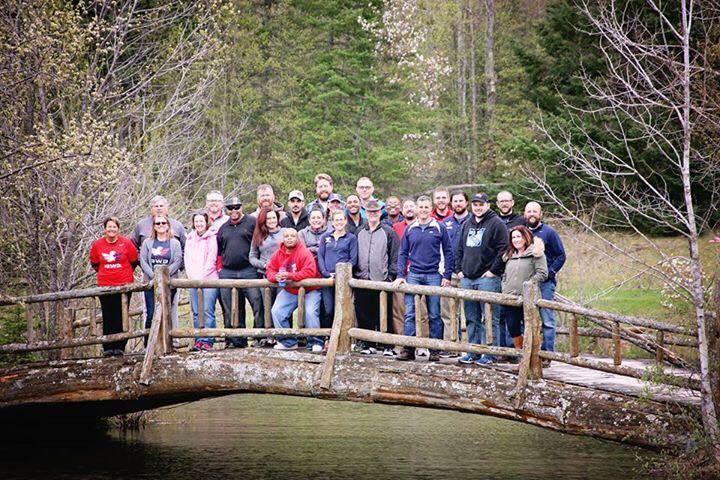 David stands with the students of the Team RWB storytelling camp in Gaylord, Michigan during May 2016. Photo courtesy of David Chrisinger. I’ve heard lots of lies in the past six years. White lies. Lies of omission. Half-truths and exaggerations. A little lying here and there isn’t anything to be concerned with. Telling lies has helped my students integrate their traumas and formulate the narrative of their lives after war. But as I’ve learned, a storyteller’s knowing deception of his audience—bullshitting—leaves no one at peace, and no one with a greater understanding of war and its traumas. David Chrisinger is the director of writing seminars for The War Horse. In 2016, he edited an essay collection—See Me for Who I Am—that bridges the cultural gap that divides veterans from the American people who have not served.